Street Science allows children from a variety of different areas to enjoy discovering the wonders of science close-up. THERE will be intrigue, excitement and a world full of wonder this school holidays at Stockland Bundaberg. Stockland Bundaberg marketing manager Jasmine Randall said the September holidays were definitely going to wow and excite visitors of all ages to the centre, who will want to keep coming back for more. "Each holidays we are working hard to provide something that is fun, educational and appeals to a variety of age groups,” she said. The first week's entertainment is something different for the region - and as the name suggests - is Seriously Fun Science produced by Street Science. Street Science was founded by Steven Liddell, a fully qualified science educator who has a passion for bringing science to life. Working full-time as a high school teacher, he had a vision to take his engaging style of science education out of the classroom and on tour around the state. In 2012, Liddell Education launched its brand new science show, Science on the Road. Little did the first audience in Queen St know at the time, but this would grow into Queensland's premier science show production, Street Science. 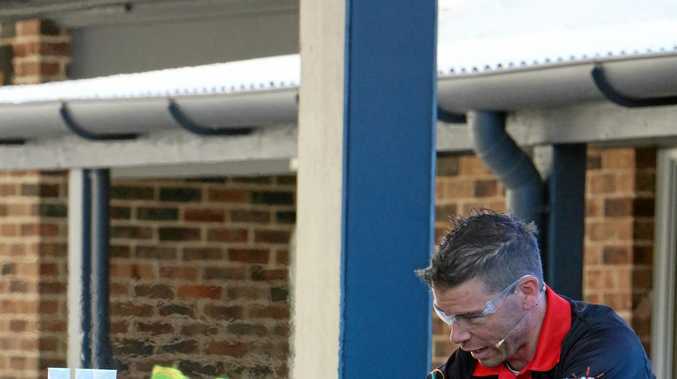 The show officially became branded as Street Science in 2013, and now offers a range of professional, well-designed workshops and stage shows to complement the National Curriculum along the East Coast of Australia. Street Science will bring their seriously fun and explosive Science Shows and glowing bouncy balls workshops to Stockland Bundaberg Shopping Centre these school holidays. Join Science Steve for a daily show at 11.30am - 12pm and then there will be a drop-in style lab to make glowing bouncy balls from 12.30pm - 2.30pm outside Woolworths. This is definitely one not to be missed, especially for those who love to know how science can truly make things happen. In the second week, all budding cartoon enthusiasts are encouraged to come out and showcase their talent because the pencils are being sharpened, ready for Stockland Bundaberg's cartoon character workshop. During the workshop you can learn how to create your very own cartoon character with a professional cartoonist. Learn all the tricks and tips and become a master cartoonist. This will be held from Monday, September 25 to the 29th at 11am and 1pm outside Woolworths so is easy to find. "The beauty of all this fabulous entertainment is it's all fun, free, and local at Stockland Bundaberg - your place for school holiday good times,” Ms Randall said.